Basics are just everything. In my opinion it is really important to pick at least one good basic a day when it comes to styling your daily outfits. In my wardrobes case these basics primarily exist of pretty coats, shoes or a timeless bag. 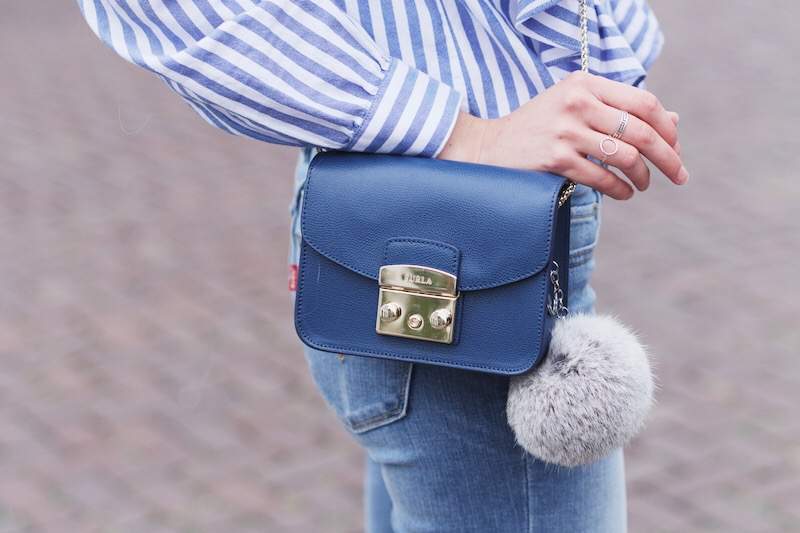 Today I’m showing you guys one of these timeless basics: my new Furla bag from Duifhuizen (which I discovered via kleding.nl). Ever since this blue gem was delivered by the mail man last week I’ve been living in a constant love story, for I absolutely love everything about this bag: the blue color (actually my favorite), good quality leather and above all the size – it is truly perfect to fit everything a girl needs like my iPhone, bank passes, money and some lipstick. There’s no urgent need for more right? Duifhuizen also offers so many more basic, cool and high quality designer and non-designer bags, you should definitely check out their website in order to be in bag heaven – I bet, after a bit of research you’ll find your match in no time too, just like I did. 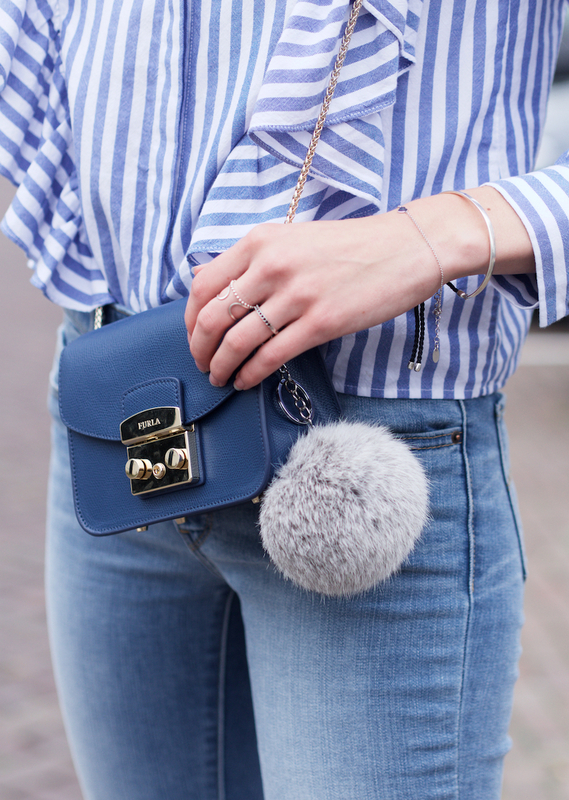 ik vind die froezels aan je blouse zo leuk! I love that ruffled blouse! Gorgeous photos! I love your blouse. Beautiful.